This exquisite farmhouse is located in the Wood neighborhood in Mineola, TX. It is a homestead or ranch style home built in 2002. It is situated on almost 29 1/2 acres of land that is ready to be farmed. This spacious farmhouse has four bedrooms and 3 1/2 baths. It has plenty of room at 3,111 square feet of living space. 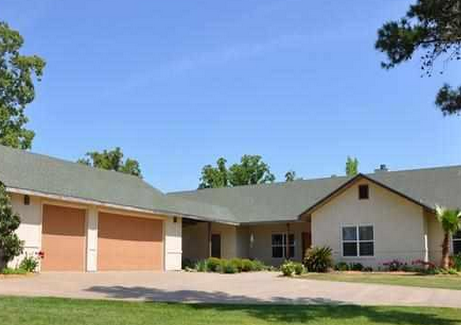 It is a one story ranch farmhouse with a stucco exterior. A paved driveway leads straight to the three car attached garage and the home situated to the right of the drive. It has central heating, double-paned windows, insulated doors, and a programmable thermostat for efficient utility usage. This adorable home is equipped with ceiling fans, a family room, a utility room, and satellite access. There are many items that add a luxurious appeal to this spacious farmhouse in Mineola, TX. The home has private lake access not far from the farm. The kitchen is any gourmet chefs’ dream with an electric double oven stove and cook-top, a microwave, garbage disposal, dishwasher, a pantry, and an island. The kitchen offers space for a dinette set and it has a breakfast bar for convenient snacking and grabbing meals on the go. The home comes with a wood burning fireplace perfect for chilly nights. The amount of land that the farm sits on is amazing at over 29 acres. The home is furnished with blinds, smoke alarms, and a metal security gate at the farm entrance. It has well water access and a septic system installed on the property. 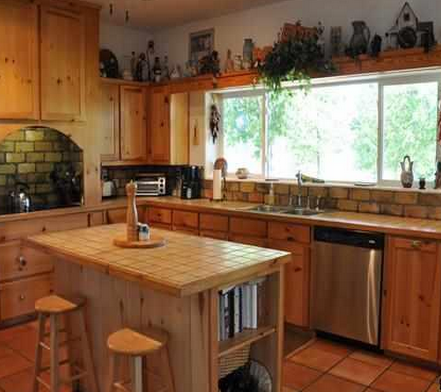 This gorgeous farmhouse offers plenty of room to roam, farm, explore, hunt, race, or hike. Families can be completely secluded while on the vast acres of land, if desired. A private lake nearby offers fishing opportunities. The spacious farmhouse is within a short drive to several different lakes, nature preserves, and wildlife areas. There is also hospital access within a half an hour drive. Meadowbrook Park and Southern Hills Golf Club are located nearby with easy access. The school district is the Mineola Public School district located in Mineola. Fruiteria Rey’s is the closest market just a few miles away. Lake Country Playhouse & Select Theater offer fine art performances on a regular basis. Dairy Queen is the closest fast food restaurant a little more than ten miles away. The Mineola Civic Center, Wood County Justice Center, and the Mineola Tourism Department are a few miles away from the farmhouse. The Sky Ranch in Van, TX offers plenty of adrenaline filled activities like zip lines, camping, and educational experiences. Burleson Wetlands offer unique experiences for encountering new species and exotic wildlife with over 3,000 acres of space to explore. Mineola Nature Preserve Equestrian Trails & The Derby offer plenty of activities centered on horses and horseback riding. There are unlimited outdoor activities on and near the farmhouse.